We will be discussing a very interesting book at one of the most important libraries in the world. 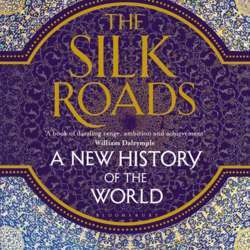 The Silk Roads, by Peter Frankopan, is a major reassessment of world history in light of the economic and political renaissance in the re-emerging east. It is an important account of the forces that have shaped the global economy and the political renaissance in the re-emerging east. I am looking forward to discussing the book with you.